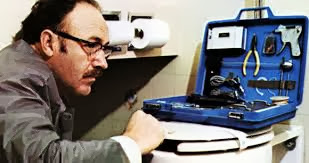 Gene Hackman in the movie "The Conversation"
Originally intended for terrorism investigations, the feds and local law enforcement agencies are now using the James Bond-type surveillance to track cell phones in drug war cases across the nation without a warrant. Federal officials say that is fine — responding to aFreedom of Information Act (FOIA) request filed by the Electronic Freedom Foundation (EFF) and the First Amendment Coalition, the Justice Department argued that no warrant was needed to use StingRay technology. Crack defense attorney Stephen Leckar who scored a victory in a landmark Supreme Court decision over the feds’ warrantless use of a GPS tracker in US v. Jones, a cocaine trafficking case where the government tracked Jones’ vehicle for weeks without a warrant, also has concerns. Leckar cited Supreme Court precedent in Katz v. US (privacy) and US v. Kyllo (thermal imaging), where the Supreme Court prohibited searches conducted by police from outside the home to obtain information behind closed doors. Similar legal thinking marked February’s Supreme Court decision in a case where it prohibited the warrantless use of drug dogs to sniff a residence, Florida v. Jardines. “Out of 155 cell phone investigations conducted by LAPD between June and September 2012, none of these cases involved terrorism, but primarily involved drugs and other felonies,” said Peter Scheer, director of the First Amendment Center. The StingRay technology is so new and so powerful that it not only raises Fourth Amendment concerns, it also raises questions about whether police and federal agents are withholding information about it from judges to win approval to monitor suspects without meeting the probable cause standard required by the Fourth. At least one federal judge thinks they are. Magistrate Judge Brian Owsley of the Southern District of Texas in Corpus Christi told the Yale conference federal prosecutors are using clever techniques to fool judges into allowing use of StingRay. They will draft surveillance requests to appear as Pen Register applications, which don’t need to meet the probable cause standards. In a earlier decision related to a Cell-site Simulator, Judge Owsley denied a DEA request to obtain data information to identify where the cell phone belonging to a drug trafficker was located. 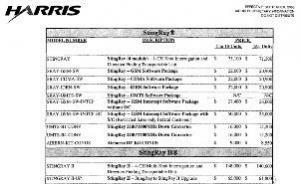 DEA wanted to use the suspect’s E911 emergency tracking system that is operated by the wireless carrier. E911 trackers reads signals sent to satellites from a cell phone’s GPS chip or by triangulation of radio transmitted signal. Owsley told the panel that federal agents and US attorneys often apply for a court order to show that any information obtained with a StingRay falls under the Stored Communication Act and the Pen Register statute. DEA later petitioned Judge Owsley to issue an order allowing the agent to track a known drug dealer with the StingRay. DEA emphasized to Owsley how urgently they needed approval because the dealer had repeatedly changed cell phones while they spied on him. Owsley flatly denied the request, indicating the StingRay was not covered under federal statute and that DEA and prosecutors had failed to disclose what they expected to obtain through the use of the stored data inside the drug dealer’s phone, protected by the Fourth Amendment. “There was no affidavit attached to demonstrate probable cause as required by law under rule 41 of federal criminal procedures,” Owsley pointed out. The swiping of data off wireless phones is “cell tower dumps on steroids,” Owsley concluded. In a related case, US District Court Judge Liam O’Grady of the Northern District of Virginia ruled that the government could obtain data from Twitter accounts of three Wikileakers without a warrant. Because they had turned over their IP addresses when they opened their Twitter accounts, they had no expectation of privacy, he ruled. 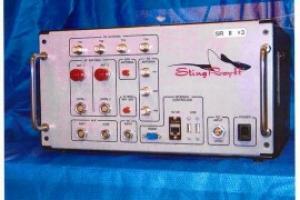 A federal judge in Arizona is now set to render a decision in the nation’s first StingRay case. After a hearing last week, the court in US v. Rigmaiden is expected to issue a ruling that could set privacy limits on how law enforcement uses the new technology. Just as the issue of GPS tracking technology eventually ended up before the Supreme Court, this latest iteration of the ongoing balancing act between enabling law enforcement to do its job and protecting the privacy and Fourth Amendment rights of citizens could well be headed there, too.